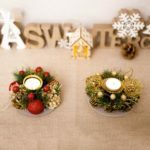 Create an adorable holiday display with set of 8 pcs candlestick holders. Made of environmentally natural wood, these candlesticks are sturdy and not easy to bend. 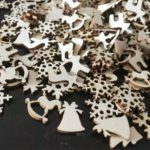 Uniquely designed with laser cutting process, they would be a perfect addition to any Christmas centerpiece. 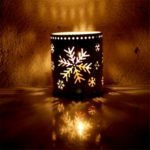 Includes 8 pcs wood laser cut snowflake tealight candle holder, perfect match with candles, create a relaxed and wonderful ambiance on your table. 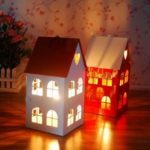 Romantic Christmas candle holders made of environmentally natural wood, sturdy and not easy to bend, would be a perfect addition to any Christmas centerpiece. 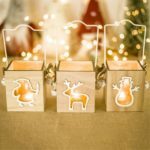 The Christmas snowflake candlestick is uniquely designed, the snowflake base uses a sophisticated laser cutting process and the candle jar has a compact disc design, incorporating a strong Christmas element. 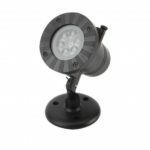 Perfect for Christmas, wedding, event, anniversaries, aromatherapy, meditation and everyday use, bring a warm atmosphere to your holiday day.